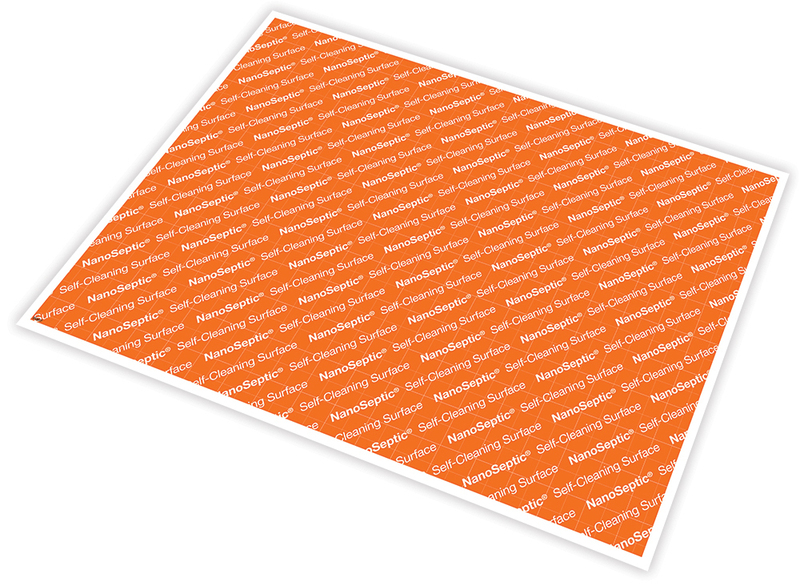 This jumbo size 12"x 18" sheet self-cleaning material is perfect for custom applications where you want to cut your own size touch points. Bright orange for visibility. 1" and 1/2" grid pattern for easy measuring and cutting.